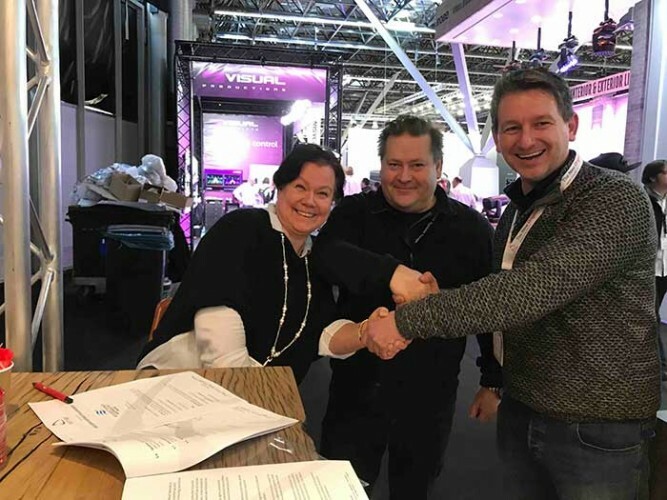 Scandinavia – SIXTY82, ‘The New Original’ manufacturer of next-generation trussing and staging systems, has expanded its global distribution network with the appointment of Electro Waves Oy as its exclusive distributor for Finland and Sweden, effective immediately. Electro Waves is a company that has positioned itself as one of the leaders in audio-visual technology, digital signage, and water technology. The company offers first-class solutions and bold innovations to its extensive customer network. Electro Waves’ knowledge of the market will be invaluable in supporting SIXTY82 to provide Scandinavian customers with suitable solutions to their requests and a service that is second to none. The appointment will leverage SIXTY82’s extensive product range to address the Scandinavian market. Headquartered in Drachten, SIXTY82 has every component required to change the way that lightweight structural systems are used. With over 100 years of experience in the entertainment industry, the team of sixty82 is able to provide the growing demand for craftsmanship and technical know-how. The company is committed to the continuation of innovative means of improving product and service, driven by a passion for their craft, to ensure their customers can continue to build incredible stuff. In picture: Eija Nurkki, CFO at Electro Waves, Miko Nurkki, CEO of Electro Waves and Date Jonkman, executive account manager at SIXTY82.